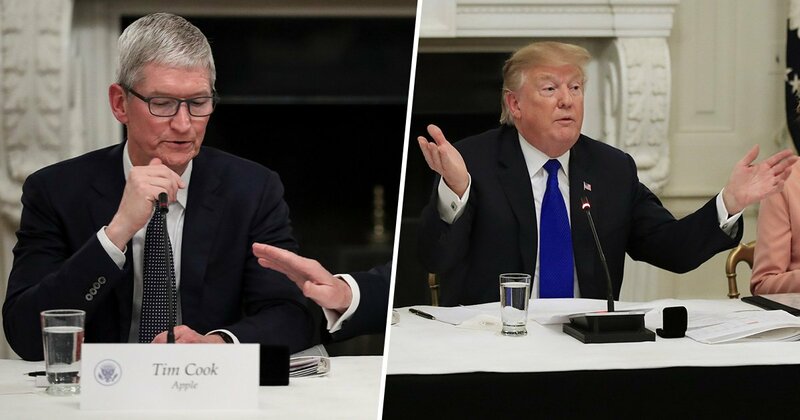 Tim Cook, the CEO of Apple, has changed his Twitter name to Tim Apple in an apparent reference to Donald Trump fudging up his name at a recent televised meeting. Cook was attending an American Workforce Policy Advisory Board meeting on Wednesday (March 6) with the president when the mishap happened, and social media hasn’t stopped talking about it since. 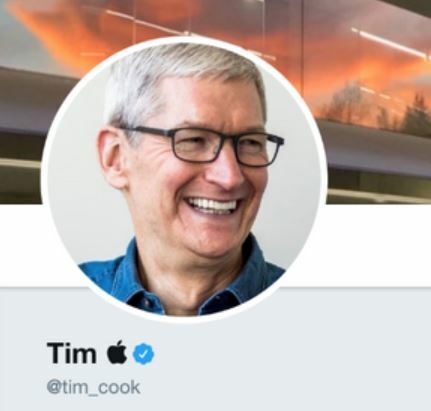 Not to worry though, because Cook has joined in with the laughter by changing his Twitter name to Tim Apple, using the tech giant’s logo. Genius. We’re going to be opening up the labor forces because we have to. We have so many companies coming in. People like Tim — you’re expanding all over and doing things that I really wanted you to do right from the beginning. I used to say, ‘Tim, you gotta start doing it here,’ and you really have, you’ve really put a big investment in our country. We really appreciate it very much, Tim Apple. You’d think the CEO of America’s first trillion-dollar company would be a reputable enough figure for the president to know who he actually is, but there ya go. Obviously, it’s entirely possible Trump simply got his words mixed up. Perhaps he meant to say Tim and Apple separately as he was trying to express gratitude to both Tim Cook and Apple? But then again, I think we’re giving the president a lot of credit there which, let’s face it, he doesn’t necessarily deserve. Regardless of whether the slip was intentional or not, the moment was definitely awkward – especially with Tim Cook sitting right next to him. Although to his credit, he didn’t appear to visibly respond to the error. For anyone wanting to see the change of name first hand, you might only be able to see a blocked out square or a ‘failed to render’ symbol. This is because the Apple logo isn’t a Unicode symbol and so is only visible on Apple operating symbols. In the meantime, it’s important for Trump to remember not all CEO’s share a surname with the name of their company. Otherwise, he’d be calling on Jeff Amazon, Elon SpaceX and Mark Facebook for advice on technology policy.